My minivan transmission gave up the ghost last year, so I bought a Subaru outback to pull my t@b travel trailer. 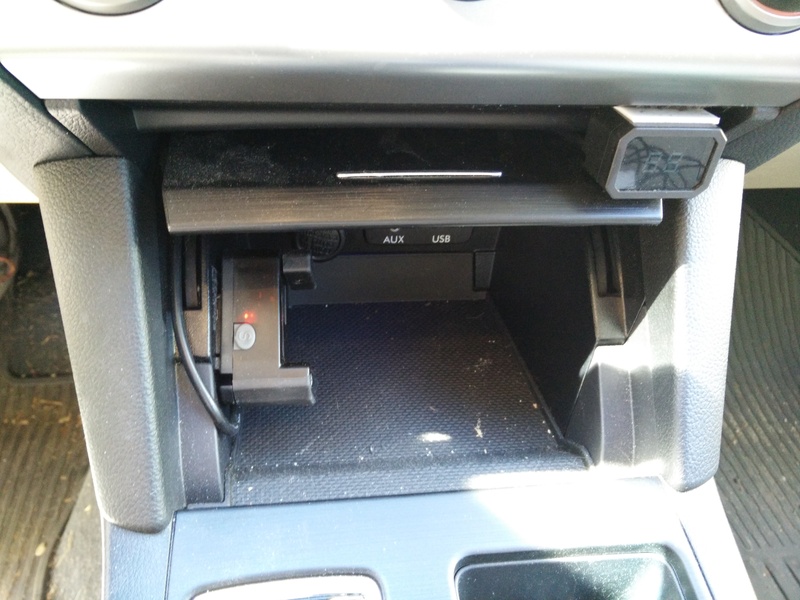 There isn't a huge amount of space under the dash, so I didn't want to mount a trailer brake controller in the 'usual' spot, right above my right knee. Instead, I bought a Hopkins InSIGHT brake controller, 47297. That comes in three separate pieces which allows for very flexible mounting options. Routing the cables from the controls over to the main unit took a piece of 14ga solid copper wire to use as a fishing line. 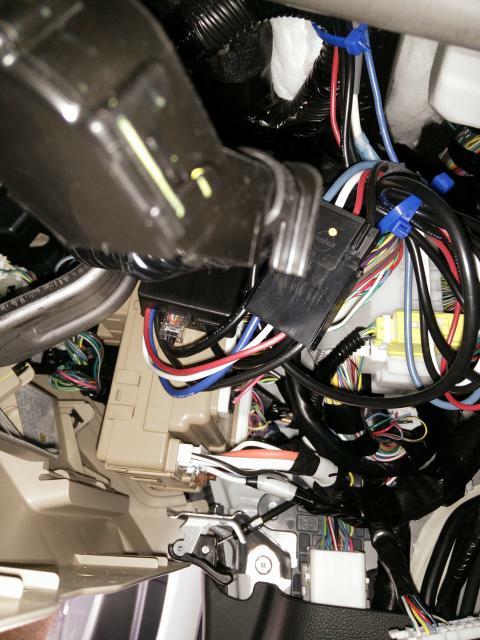 The display wire was routed above the compartment lid, the control wire was routed below the lid. I'm not entirely happy with the wire routing; I may drill some small holes and then cut the wires to feed them through.